Strawberry Marshmallow SliceJust like Grandma Used to Make! This oh so sweet and sticky Strawberry Marshmallow Slice is a perfect treat for when you miss fire-toasted marshmallows but can’t go camping just yet! ..or when you’re just craving. It is the best alternative to camp fire-toasted marshmallows! This is another one of my Grandmothers recipes and I had it quite often growing up. Although I’m not a huge fan of marshmallow as it is so sweet, this is nice as the base really balances out the slice. 1. Pre heat oven to 180 oC. 2. Place the Weetbix, coconut, brown sugar and melted butter in food processor and blend until well combined. Press into lined slice tray and bake for 12 minutes. 3. When base is cooked heat jam in microwave for 30 seconds and spread over base. This gives something for the marshmallows to stick to. 4. Then place marshmallows in rows touching each other until base is covered. 5. Then return to oven for 5 minutes at 180 oC to toast marshmallows. Now set in tray in refrigerator for 2 hours before slicing. 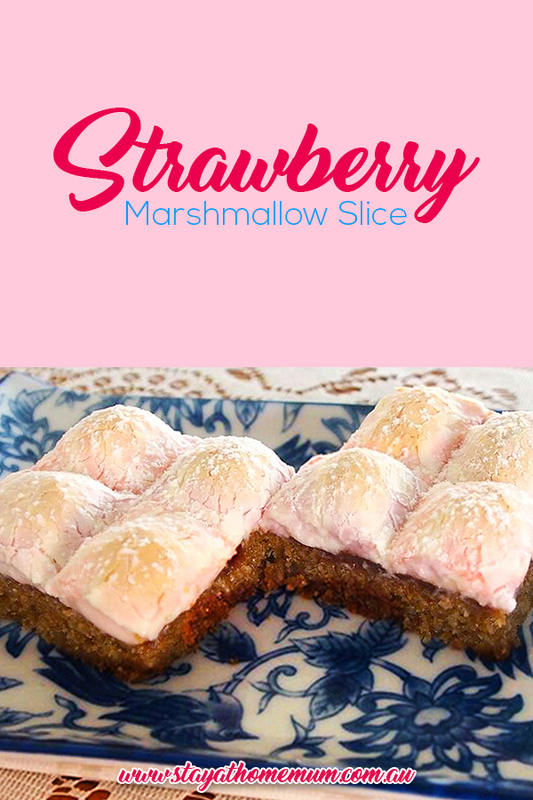 Strawberry Marshmallow Slice is best stored in airtight container in the refrigerator for up to 2 weeks. Feel free to use other flavoured marshmallows and jams, so many to choose from.